After 18 months of research, the industry launched a change initiative in 2012 to improve itself and to get advertisers to think and act differently about OOH. Since that time, OAAA has worked with members to craft compelling proof points about the medium presented in a tone that best resonates with today’s ad agency professionals, many of whom are Millennials. While establishing consistent messaging is a core activity at OAAA, it is vital that all members embrace and share common messages about the medium so that the industry is presenting a united vision for what it stands for and how it best serves advertisers. Thousands of industry account executives actively tell the OOH story every week to advertisers and agencies interested in learning how OOH can solve communication challenges. By expressing consistent messages about the medium during every sales call, account executives across the country can do their part to help ensure important OOH benefits are remembered. Repetition ensures recall and familiarity. OOH is a dynamic media business. First and foremost, we have moved from the traditional term “outdoor” advertising to the more progressive and inclusive term “out of home.” Studies have shown OOH resonates better with advertisers who are looking for more holistic approaches to media planning and budget allocation. We encourage you to use OOH in your business and when talking to customers about the medium. The value of OOH is evident. OOH builds brands and drives transactions, with a powerful mix of formats, locations, and technology that surrounds and immerses hard-to-reach audiences away from home, where they spend 70 percent of their waking hours. 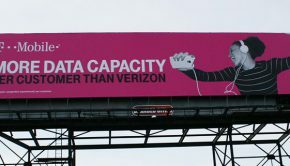 OOH amplifies, connects and actives any media plan. OOH is a vibrant and growing media channel. In 2014 the US OOH industry hit $7 billion in revenue, which, according to ZenithOptimedia, represents 5.2 percent share. What makes this growth impressive is that OOH market share has grown in what has become an increasingly digital world, where massive dollars are migrating from traditional media to digital. Also according to ZenithOptimedia, interactive, mobile, and social (collectively digital) now represents $43 billion or 25 percent of total US ad spend. And soon digital is expected to surpass television. That’s why the OOH industry has been so focused on innovation and in particular on OOH’s ability to activate social, mobile, and digital. It’s exactly where the money is going. Digital makes OOH a nimble media choice. Just as ad dollars are migrating to digital, so is the OOH industry. Digital conversion is taking place across the OOH continuum with 6,100 digital billboards, continued growth of digital street furniture and transit formats, and more than a million digital place-based screens. The OOH audience is growing. While the expansion of OOH formats is a positive change, especially for pedestrian audience delivery, consumers also continue to drive more. In 2014 they drove a total of 3 trillion miles, which reinforces the fact that the core billboard audience is as strong as ever. OOH ignites social media and mobile. 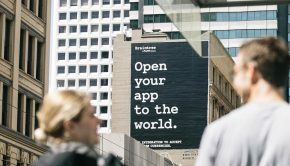 The industry needs to leverage the vast opportunities that mobile now presents to reframe the core value of OOH as a medium. Reframe it so it’s clear OOH is complementary to mobile. As an industry, we need to make sure that every advertiser knows OOH is a powerful accelerator and amplifier of mobile media. And why is that? Because by linking our future more closely with the tidal wave that is mobile media, we’re making a smart bet on where advertising dollars are going in the future. OOH provides credible metrics. Over the last several years audience ratings have become more available and accountable, and that drives utilization. To complement existing static roadside measurement, TAB launched transit and digital billboard ratings earlier this year. As a result, credible audience ratings now cover 85 percent of all OOH formats by revenue, making OOH a truly audience-driven ad medium. Top brands recognize the potential of OOH advertising. Because of these wholesale improvements and changes, it’s really no surprise last year 90 of the top 100 US brands used OOH, with high-tech leaders as new top spenders such as Apple, Google, and Samsung. 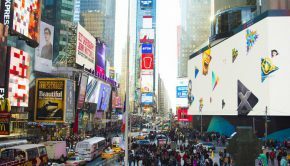 In fact, both Google and Samsung have recently invested in OOH businesses, making a financial stake in the industry’s future. OOH data can be harnessed to produce compelling results. Zettabytes of information are generated every single day. 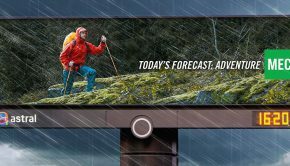 When OOH companies pair “big data” with the precise latitudes and longitudes of OOH inventory, it can be used to effectively augment media planning. There is a lot of exciting news in the OOH business to talk about. 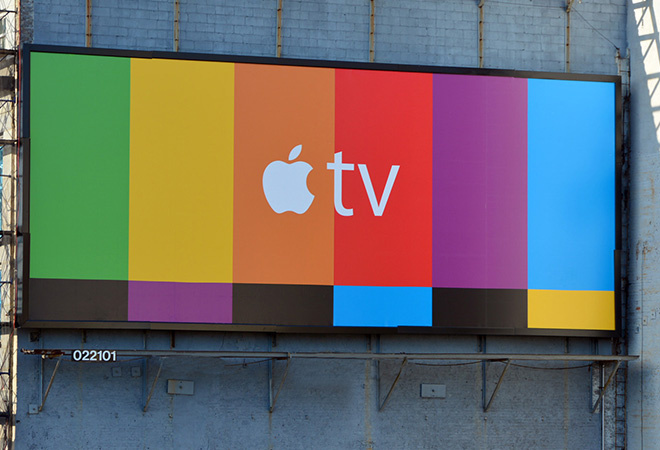 So much in fact, the task to articulate the most important news about OOH can be daunting. To help, OAAA recently launched a new OOH Resource Center app for iPads and Android tablets. The app streamlines the vast information available on the OAAA website so the most essential information is easy to access in real time by sales executives when sitting face-to-face with customers. More importantly, it serves as a platform to help all OOH account executives speak consistently about the medium. 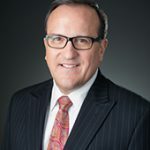 Mark Twain once confessed, “It usually takes me more than three weeks to prepare a good impromptu speech.” By knowing how to talk effectively about the OOH medium, every impromptu meeting with a customer can be an opportunity to convince them that OOH is a good media option deserving of consideration. Being consistent in the messages each account executives presents will serve the whole industry and everybody wins.